Being a Mom is a crazy roller-coaster ride of love, laughter, frustration and joy; and an incomparable experience that changes your life. When you have kids, they become the focal point of your day, and when all your time is taken up with caring for their needs, it can be hard to find any spare moments to care for yourself as well as you should. If you find you’re too exhausted at the end of the day to do more than collapse on the couch, you need to ask yourself if this kind of routine is really in your family’s interest. To be the best mom you can be, you have to realize that looking after yourself isn’t selfish; it’s precisely what you need to have good health and mental strength to fulfill your role in life. Everyone needs a way to relax and take action to avoid stress affecting their wellbeing. It can be hard enough to find time in a busy life even before you have kids, but when they arrive, it can feel like your available time shrinks to pretty much zero. The problem is, if you don’t take the trouble to chill out and de-stress on a regular basis, you’ll find it becomes harder to cope with life. You’ll suffer physically because your body will be struggling to deal with the effects of unrelieved stress, and you’ll find you start to get short-tempered, cranky, and fatigued. Persevering like this is a pointless form of martyrdom because you won’t be doing your best for your family if you continue to deny yourself the time and attention you need. It’s better both for you and your kids to make self-care more of a priority, so you have the physical and mental strength to manage whatever life throws at you. Chronic stress has become a major cause of health problems, to the point where it’s now a public health crisis. Its effects aren’t always immediately obvious, and you can manage for years with excess stress before it reaches a critical level. Have a look at what stress and anxiety can do to you, and you’ll see why it’s so important to find ways to relax. One of the easiest and quickest ways to ease mental strain is to practice some form of meditation or mindfulness. These simple techniques can be used almost anywhere to give yourself a break and calm your thoughts. Getting lost in a good book or movie, doing word puzzles or Sudoku, and adult coloring books are also effective ways to switch off, it’s just a question of finding the activity that suits you. After the kids arrive on the scene, you’ll probably find that the recreational pursuits you used to enjoy get neglected in the face of your new responsibilities. If you haven’t spent time participating in the hobbies and pastimes you used to enjoy, it’s a good idea to get started again. Sports and physical activities have the added benefit of re-introducing exercise to your routine, which will be good for your health and mental wellbeing. Getting back to taking part in something you enjoy is an important way of maintaining your identity as an individual, as well as being a diversion from the hustle and bustle of daily life. If it’s been a while since you had your hair done, or you find you can’t be bothered to put your makeup on in the morning, you should treat yourself and go for a makeover. Book an appointment at the hairdresser, and maybe go for a new style or a change of color. Get a manicure and a pedicure, go for a massage and get a facial. If you normally wear glasses, try switching to contact lenses, which can do wonders for your confidence. Lenses are easy enough to buy online now at websites like Perfect Lens, as long as you have a current prescription from an optician. You don’t have to do all these things at once if you don’t have the time. You could maybe sort one treat a week or month on a rota if that suits you better – although it can be a lot of fun to have a dedicated makeover day! Hopefully, you’ll be preparing nutritious meals for your kids, but even if they’re not around you need to make sure you’re eating enough fresh fruits and vegetables, getting sufficient high-quality protein, and including plenty of whole foods in your diet. You also need to be drinking sensible amounts of water, in the region of four pints per day. Get a check-up from your doctor to make sure you haven’t got any underlying health issues, and make sure you get plenty of physical exercise every week. Avoiding drugs, cigarettes and excessive alcohol consumption will give your health a definite boost, and getting a good night’s sleep will help you feel restored and refreshed. There’s no shortage of information online that can help you build good health into your life, so check out some of the high-quality websites that are available. 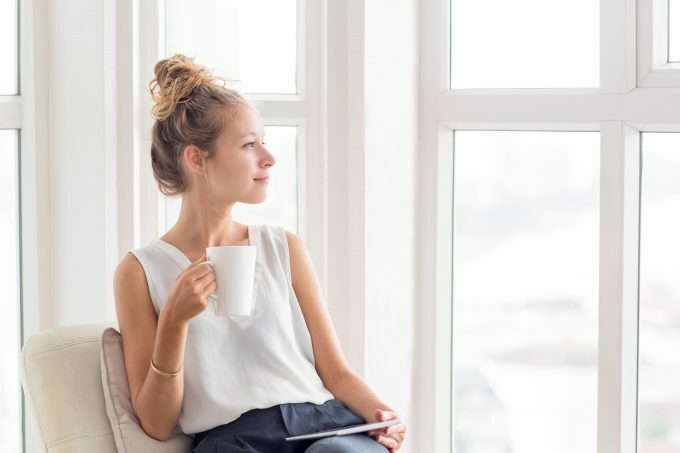 Once you’ve realized that making time for yourself is a vital part of being a good Mom, you then face the problem of how to find that me-time in your hectic schedule. Activities like a quick session of mindfulness need only take ten minutes here and there, but for those that need more time, you may have to get creative. You could have one hour per day where the kids have to carry out some kind of activity or project by themselves, giving you a chance to get on with your exercise routine or curl up on the couch with a good book. Helping your kids to become more independent as they grow up will also help, so they are able to carry out their own simple tasks like making drinks. Even if you think it will be impossible to make space for some me time, you’ll be surprised at how it can be achieved. Always remember that you are doing both you and your family an important service in taking good care of yourself.